You'll hit a home run every time when you go out wearing fancy style sweaters by Steven Land. Steven Land sweaters not only are stylish but are made in the USA of fine cotton yarns that will look great and feel great. 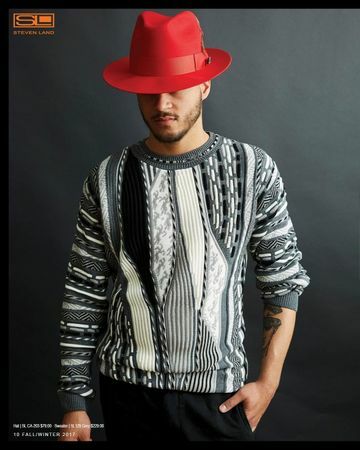 This grey multi color knit sweater features a great looking Coogi style that you won't be able to wait to wear.